But I want to start with Christopher Hitchens, a writer that I revere and a public figure whose death I continue to mourn. I loved his prose even when I didn’t agree with him and I admired his honesty. He was, for me, a teacher who taught me to ignore the media’s tired narratives and look at each situation on its own merits. 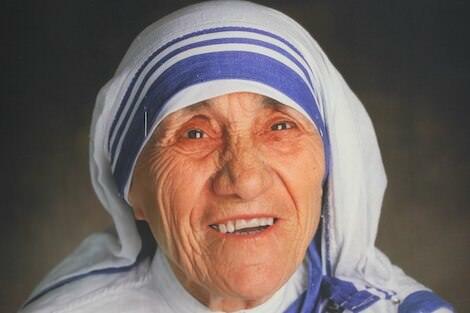 Among his many subjects, some might say targets, was Mother Teresa. For those of us who grew up in the 70s, Mother Teresa was an otherworldly figure whose name signified such goodness so as to become something of a punchline for sitcom writers and comedians. I vaguely understood that she took care of poor people in India but was much more familiar with her name in the context of ‘well, she’s no Mother Teresa’ and so on. I read Christopher Hitchens’ book about her with great interest. It was brief and devastating. Apparently, Mother Teresa was no Mother Teresa. Another myth demolished, another good reason to keep reading Hitchens. So why then was I walking towards the ‘Mother House’ in Kolkata on a warm November morning? My hotel was on Sudder St, a familiar sort of neighborhood to those who travel. The street was lined with hotels, souvenir shops, cheap restaurants, money changers, travel agents, beggars, hustlers, and taxi drivers angling for my custom. But once I turned out onto Chowringee St, they all melted away and I was in Calcutta proper. To get to the ‘Mother House’, where Mother Teresa spent her last years, I needed to turn right, turn left, and turn right again. Something about the immersive sensory experience of Kolkata meant that maintaining those simple directions required enormous concentration. All my instincts were to turn left at the end of Sudder, something which would have led me to the surreal inner north with it’s post apocalyptic Pall Mall cityscape, abandoned synagogues, the iconic Howrah bridge, and eventually the City of Joy itself. But I turned right, and then turned left for a walk through a neighborhood that felt like a portal to a completely unfamiliar world. Almuddin St, from Chowringee, seemed to grow poorer as I walked along it. Block by block, there were increasing numbers of people who appeared to be living on the sidewalk. "The most vulnerable citizens of Calcutta were clothed and fed, but most critical was the restoration of their dignity." The buildings overhead looked derelict but there was laundry drying on the crumbling balconies and other signs of activity behind stark doorways and concrete windows with no glass. On the road itself, carters transported goods by means that wouldn’t have been out of place in Pericles’ Athens. I watched a woman use a manual public waterpump to fill an old bucket. It is, I realize, against all contemporary protocol to speak of stepping back in time in such places but it was a difficult conclusion to resist. I kept waiting for the spell to be broken by a ringing iphone or a child waving a tablet. It didn’t happen. Two boys were flying homemade kites from a roof. Another led a reluctant goat past me. I could have been in Dickens’ London. Or Shakespeare’s. Kolkata’s population is, depending on which taxi driver you speak to, somewhere between 15 and 20 million. That’s Australia, jammed into a relatively small urban area. I’ve seen poverty before in my travels but never so much of it. The density makes it difficult to grasp. You quickly begin to understand it in a general rather than particular way. It’s ‘poverty’ rather than ‘poor people’. It is the way our minds deal with a great number of people in any context. We talk about the ‘crowd’ at a football stadium. It would be impossible to understand such numbers in any other way. So it is for the poor in India. The loss of personal identity is perhaps the first casualty of economic hardship. The entrance to the Mother House is down an alley, just after the Heavenly Hotel on Bose St. A number of ‘guides’ approached me waving ‘official’ badges. I was politely declining their services when a tiny nun dressed in a blue and white striped sari stepped out and shouted something in Hindi. The ‘guides’ stepped back as though confronted by an invisible force. The nun smiled at me and indicated the entrance. “You are safe here,’ she said, quietly. I hadn’t felt I was in any real danger but I found her words almost unbearably moving and reassuring. I stepped into the stone courtyard within the building. It was cool and peaceful. Nuns padded by carrying clean sheets but otherwise there was only the distant sound of honking horns from a city that suddenly seemed far away. I didn’t see any of the residents that day but the atmosphere told its own story. This was where the poor found clean clothes, regular meals and a bed. And this was where ‘the poor’ stepped out of the crowd to regain something of their personal identity. Mother Teresa often spoke of anonymity as a disease. The most vulnerable citizens of Calcutta were clothed and fed, but most critical was the restoration of their dignity. Christopher Hitchens visited the house on Bose St too and was shown around by Mother Teresa herself. My impression now is that he was looking the wrong way. Sports commentators often complain about a player playing the man, instead of the ball. Hitchens was playing the man, or woman in this case. The ball is civil rights. I believe that Mother Teresa was in the business of restoring civil rights. Martin Luther King was planning a ‘poor people’s march’ on Washington when he died. Gandhi called poverty the ‘worst form of violence’. Mother Teresa was on a similar journey. Oppression comes in many forms. Poverty is one of them. I went to the Mother House out of curiosity. It was Christopher Hitchens who taught me to set aside my prejudices and see things on their own terms. When you've seen one bombastic polemicist like the late Christopher Hitchens... He always struck me as a particularly English figure, someone perpetually frozen in time whilst addressing the Oxford Union. A wee bit like Richard Dawkins, another Oxonian. Good at demolition. The late Mother Theresa, whether later sainted or not, was a very down to earth woman from an extremely poor Albanian background, who did a power of good. She was not an intellectual and her simple rural background enabled her to empathise with the ordinary Indian and to help those in desperate need, far, far more desperate than most in Australia except for those in those awful deprived remote Aboriginal communities. Perhaps 'the lesson' we need to take from Mother Theresa is closer to home? A beautiful reflective piece. I too was influenced by Hitchens' version of Mother Teresa. Thanks for reminding us of the humans within the mass, and that there are many ways of responding to them, whether it's on a structural or personal level. Thank you Tony for this very moving depiction of the world we, in the west, so often overlook. I am also grateful for Christopher Hitchens and have found many of his works enlightening especially his final book on his dying. However, he was not always correct as in the Iraq war and, as you say perhaps with Mother Teresa. I have also followed the journeys of some Australian women who joined Mother's order and suffered many injustices. Perhaps the truth lies in acknowledging there is no such person as a sinless 'saint'. A lovely article which gives due credit to this amazingly generous woman. She gave love, kindness - and dignity - to the downtrodden, and surrendered her entire life to the service of the needy. Tony, I am delighted that your experience of her legacy led you to write this moving piece and to remind us of who Mother Teresa really was. Saint Mother Teresa of Kolkata served humanity with dedication and distinction. A beautiful article Tony, so glad I came across it. Nice work, Tony. BTW, what must be the busiest thoroughfare on the globe is called Chowringhee and couldn't in its wildest dreams be described as a mere street. I was born there. One of the main points of Hitchens book was to charge Mother Teresa of taking money from the disgusting Duvalliers of Haiti. They plundered their country but gave money to Mother Teresa who gave them credibility & publicity. I would have thought that this point could have been at least mentioned, discussed or dismissed by Tony if he felt it was factually incorrect. Tony , I read Hitchens' book on Mother Theresa many years ago - like you, I'm a Hitchens fan. I was devastated by it and felt almost betrayed by its "truth'. Thanks for your update. I think you must be right about him: that he "looked the other way". Let's not be too hard on Hitchens. If he's in heaven or purgatory, he'll have repudiated his work and we'll be bashing someone who no longer deserves to be bashed. If he's not, the writer in him will no doubt be pondering the weird psychology of, as C S Lewis might put it, people who lock themselves into an eternal pattern of falsehood despite knowing the truth. I am confounded by the way a person's life can be presented to the public. Mother Teresa was a missionary working largely in Kolkata to help the terminally ill poor people get some joy, company and love in their last days. Maybe she did not think of it as a moral code but as a work of God. But she was also considered an agent of the catholic agenda of propagation, largely criticized by the people across the world. Whether she was an agent or a victim of it is still a debate, but it is the truth that she was a humanitarian. However, people like Mr. Hitchens are also needed to study and present the lives of such people from an unknown perspective.